Bananas are high in vitamin B6, vitamin C, potassium, dietary fibre and magnesium, but free of sodium and cholesterol. They are almost fat-free, and relatively low in calories-depending on their size. Per 100 grams serving, bananas contain 0.3 gm total fat, zero cholesterol, 1 mg salt, about 360 mg potassium, 2.6 gm dietary fibre, 12 gm sugar and 1.1 gm protein. But, the benefits of bananas are not just limited to health; they are also used for excellent beauty treatments. Bananas are great for your hair and scalp. They are known to improve manageability and shine of our hair. Moreover, they are known to prevent and control dandruff, and moisturise our scalp. Bananas are rich in potassium, natural oils, carbohydrates and vitamins, which help soften our hair and protect their natural elasticity. 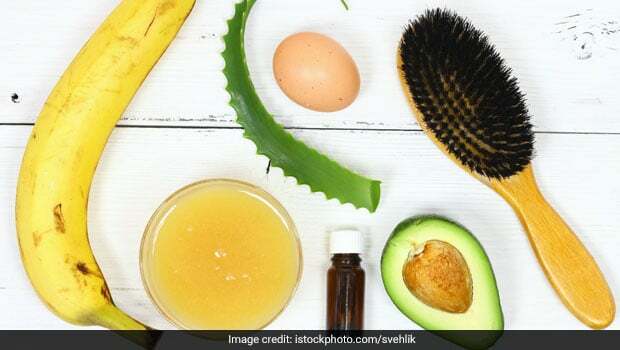 While there are many banana hair products available in the market, why to spend on too many store-bought products when you can make your own banana masks at home in your own kitchen.